A bird feeder not only beautifies your backyard but also attracts birds to it. Many homeowners look for numerous ways to beautify their backyard when something as simple as adding a bird feeder can help achieve that. 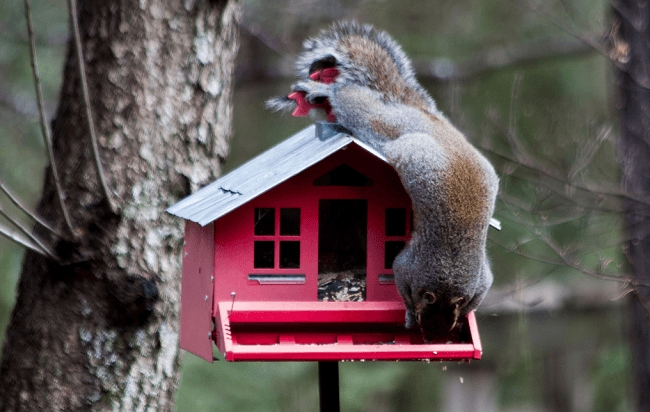 Wooden bird feeders are durable and add an element of classiness to your yard, we have picked the 3 best wooden bird feeder that you should consider for your home. 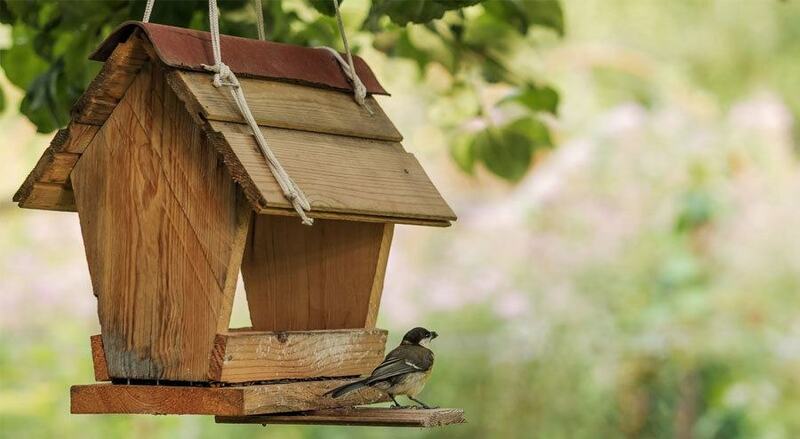 Bird feeders aren’t as extravagant as birdhouses but they do add a bit of character to your yard. The Perky-Pet Mountain Chapel Bird Feeder is certainly going to add some character to your yard made of leaf printed wood. The design of the bird feeder is not exceptionally detailed but it has windows in the area where the seed is stored and can hold up to 3.6 pounds of seeing. The window allows you to gauge when you need to add more seed to the feeder. With this bird feeder, you can be certain that birds will flock to your yard to feed. The feeder is quite durable also while it is not heavy either. The wood employed in the feeder ensures that it doesn’t break easily. If you prefer a bigger bird feeder than the Woodlink Deluxe Cedar Bird Feeder with Suet Cages Model AT4 is a great choice. 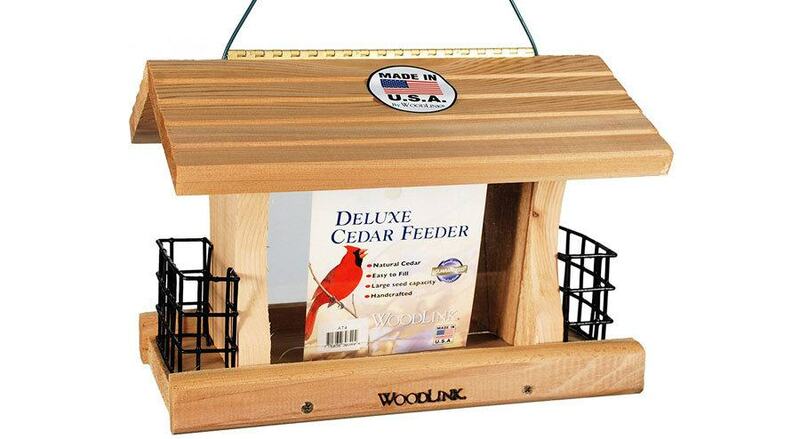 The wood is quite durable on this feeder as it is re-forested and kiln-dried red cedar wood. The design of the feeder allows for great visibility for you, so you can see the birds come and feed from the feeder. It has polycarbonate windows and the roof has aluminum hinges so it is easy for you to clean, when needed. It is bigger than the Perky-Pet feeder as it can hold up 5 pounds of seed. 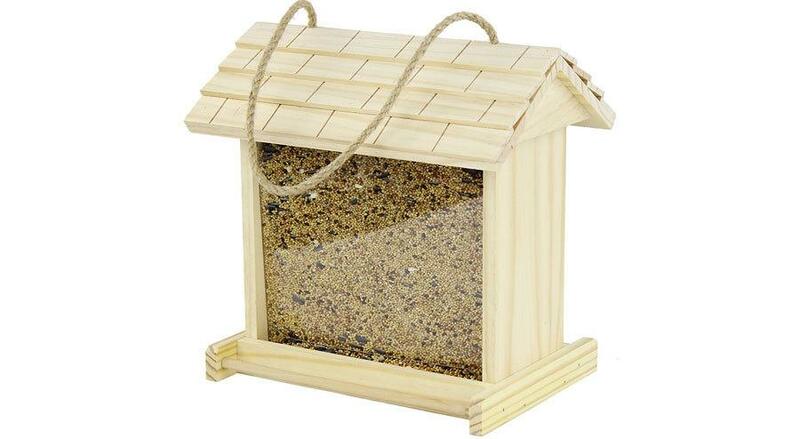 If you have a bigger yard and want a nice bird feeder to attract birds to it, then the Woodlink Deluxe Cedar Bird Feeder with Suet Cages Model AT4 is a perfect choice. Made out of pine wood, the Gardirect Wooden Bird Seed Feeder, Log Cabin Bird Feeder is a basic bird feeder that is perfect for the minimalist backyard. This bird feeder won’t blow you away with extravagant design because it is probably the simplest designed bird feeder you can find. However, it is durable and the finish of the wood adds a bit of class to it. It doesn’t go overboard with the design and sometimes that is a good thing. The feeder is as big as the Perky-Pet feeder as it can hold up to 3 pounds of seed and has a window for you to easily tell when it needs to be refilled. 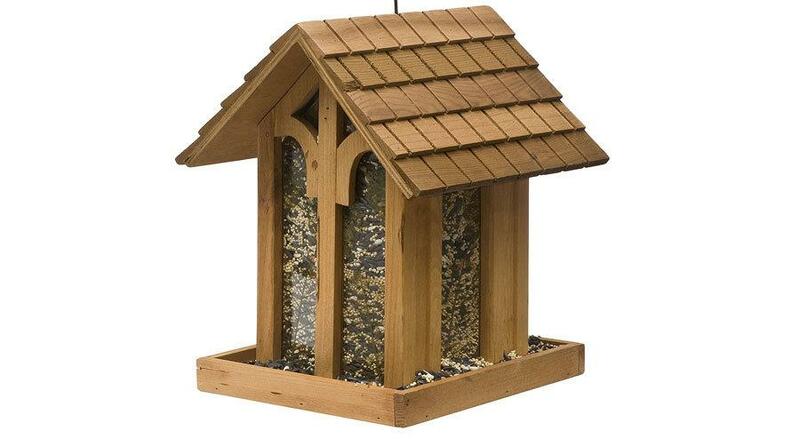 Overall, if you want a simple bird feeder to add to your yard then look no further than the Gardirect Wooden Bird Seed Feeder, Log Cabin Bird Feeder.